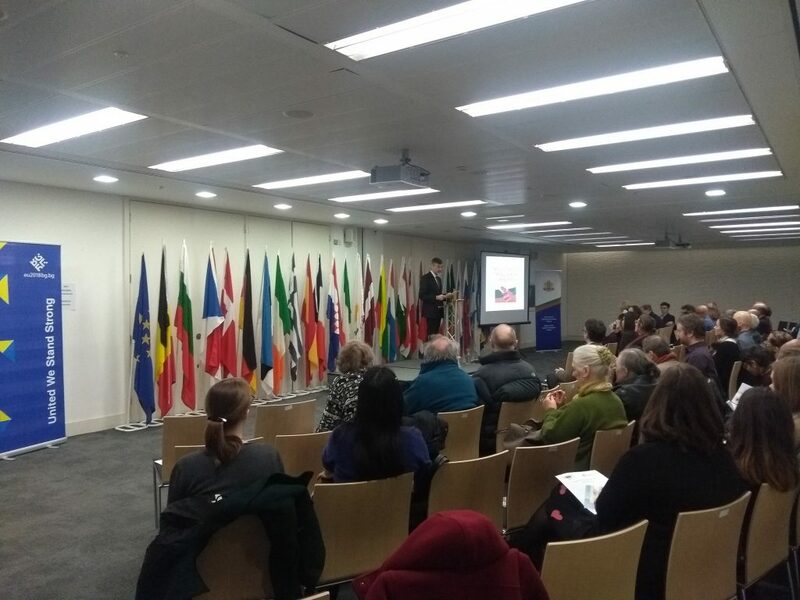 The European Commission Representation and the Bulgarian Embassy in London held a Bulgarian Language Evening at Europe House on March 15th. 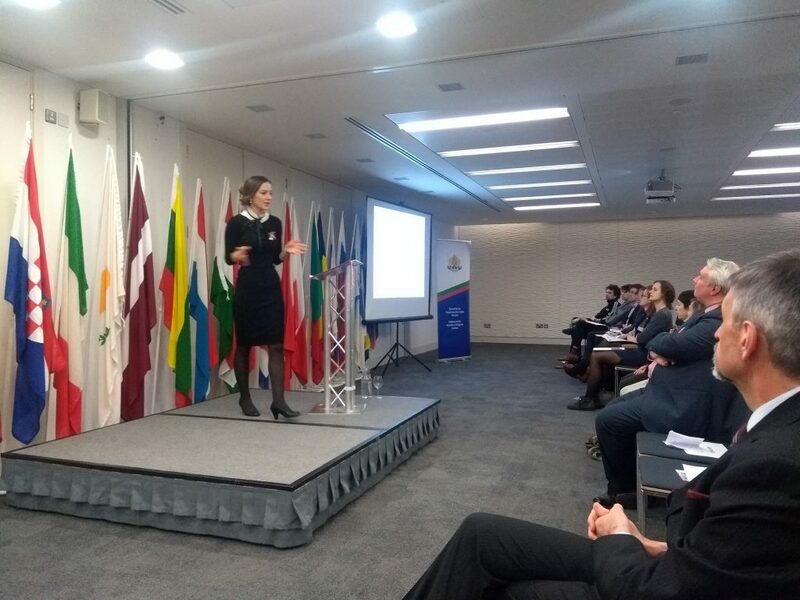 This is a now-traditional format wherein Europe House hosts an evening to celebrate the language of the country, currently holding the rotating EU Presidency. The guests were welcomed by the Bulgarian Ambassador to the UK Konstantin Dimitrov who continued the tradition of opening the language evenings with poetry – in this case with a poem by Elisaveta Bagryana, My Song, read in the original and in Peter Tempest’s excellent English translation. 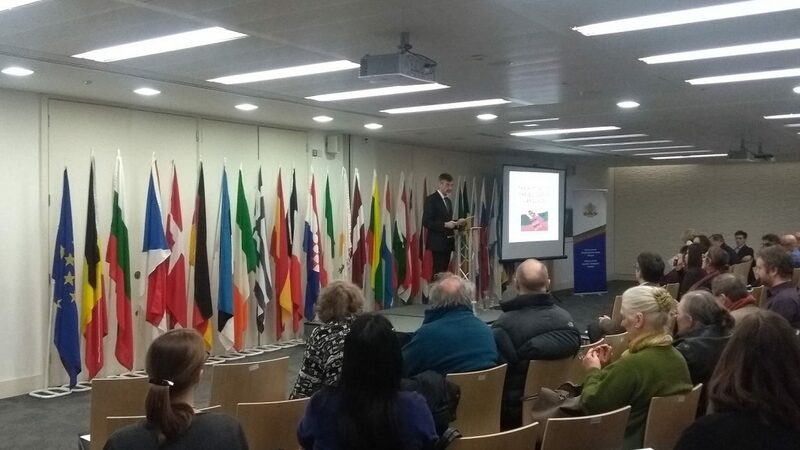 The event, moderated by Stephen Turkington, language officer at Europe House, aimed to introduce non-Bulgarians to the language and culture. 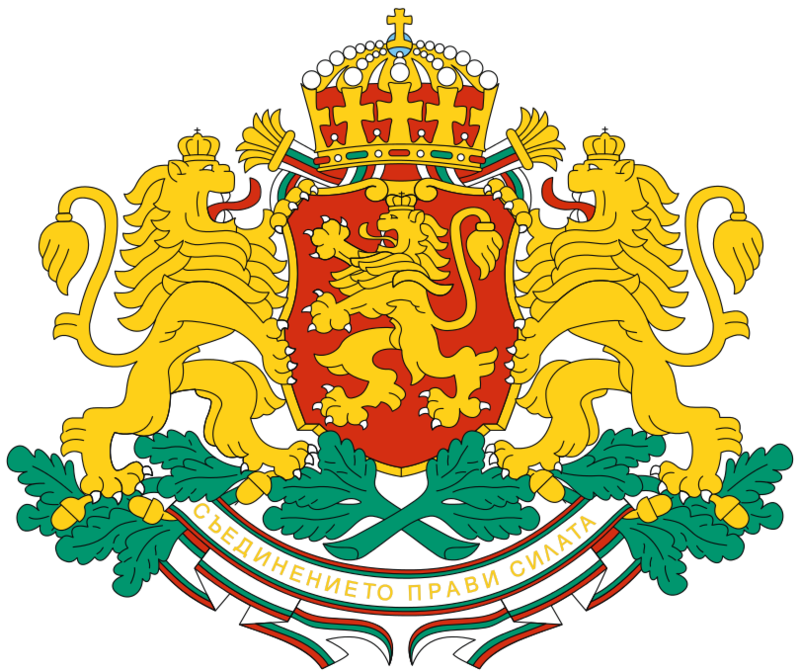 It included a talk by Dr. Yordanka Velkova, lector in Bulgarian Language, Literature and Culture at UCL, on the history and writing systems of the Bulgarian language, as well as a taster class to teach the guests their first words in Bulgarian. The evening ended with a musical surprise – a brief class in Bulgarian folk singing held by the London Bulgarian Choir.